Home » computer science , ebook , engineering , google search engine , pdf , search engine , search engine optimization , social media , social web , web » What is social media? 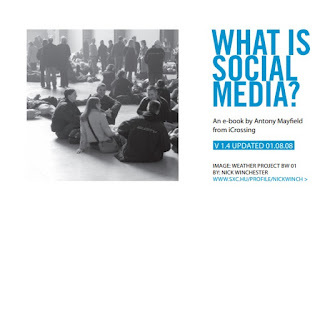 This eBook is written as a short and sweet summary of the phenomenon called social media. It’s an unashamedly straightforward work, intended to give you a brief overview of the story so far, maybe fill in a few gaps and act as a reference guide. It’s intended for anyone, but will be most useful to people working in media, marketing and communications.